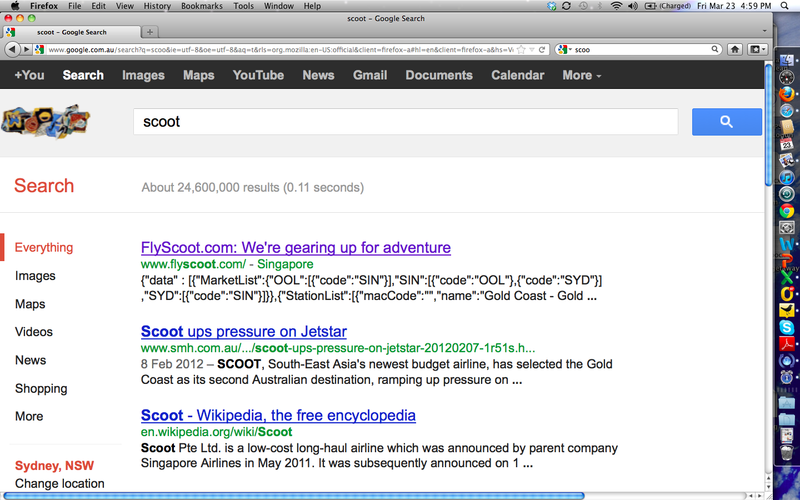 Scoot is the new (mid to) low cost carrier coming out of Singapore. They launched sales yesterday and have just commenced the first push in Australia with a sale for departures in June and October. Unfortunately they have not prepped properly for their launch. 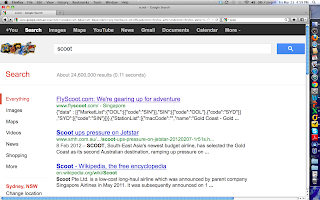 Have a look at the below Google search results for keyword Scoot. Lots of code in their ranking and Jetstar news article in number two. Gentle (if not firm) reminder how important it is to get SEO right at any time but particularly before a launch.